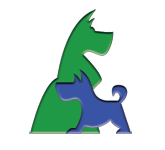 2 Dog Digital has been an impressive resource to my business and productivity. They have offered very helpful guidance on my IT matters, most significantly with my personal laptop and office desktop. I know they have accounts significantly larger than mine, and yet I’m felt to feel like a priority each time they’ve done work for me. If you are in need of IT guidance, large or small, you need to contact 2 Dog Digital.